Opor Ayam Kuning is one of my comfort food at it best. Super flavorful chicken curry, a mix of coconut milk and spices infused into a divine creamy soup. Many said that cooking a curry dish requires a plethora of spices and laborious work and they are not totally exaggerating. I will not say cooking Opor Ayam is hard, but it does requires a lot of cooking time. Opor Ayam is a must-have dish on Ied Fitr in Indonesia. Its one of the Ied Fitr signature dish. I absolutely have no idea what made the tradition to have Opor on Ied Fitr, but as far as I remember, every family I know have Opor as one of their menu on the said day. 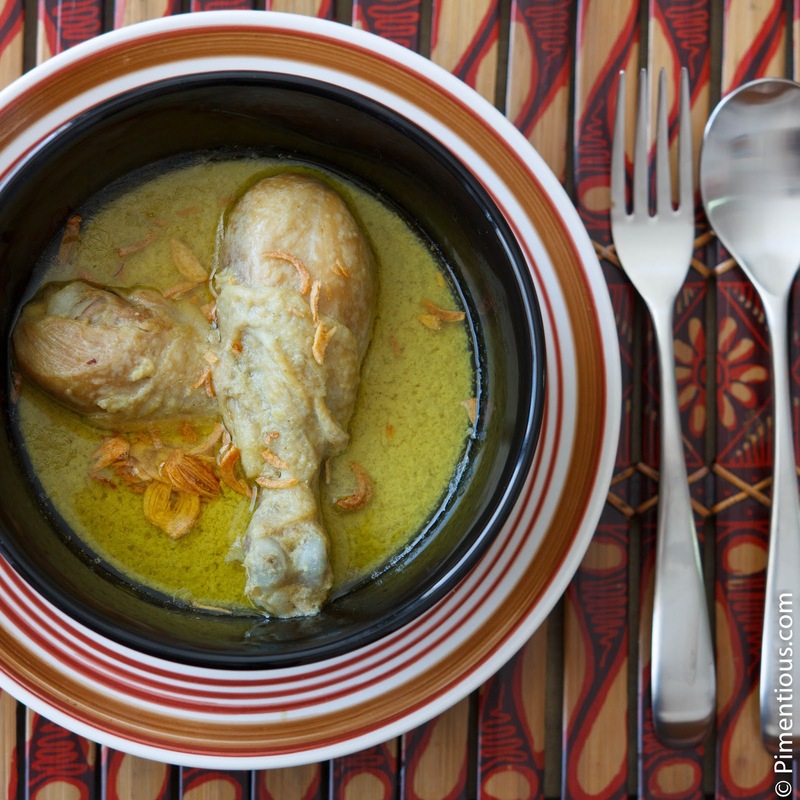 There are two kind of Opor Ayam; Opor Ayam Kuning (Yellow Curry) and Opor Ayam Putih (White Curry). The different between the two lays on the spices. Opor Ayam Kuning has a bit more of the spices and it tastes slightly richer than the Opor Ayam Putih. Today I am cooking the Opor Ayam Kuning. As you will see on my recipe, it is not that complicated and the spices needed are not far off from Indian curry. I paste all my ingredients using electronic processor, I add oil instead of water to avoid excessive liquid and I can sauté the paste right away. Serve with a bowl of rice and sprinkle fried shallot on top.